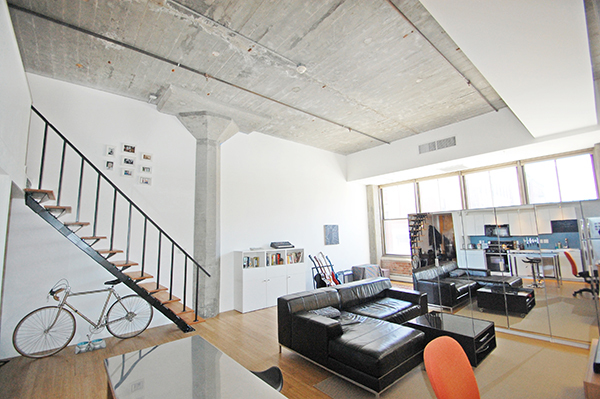 The lofts at Porter 156 are an example of true loft living: Exposed brick / concrete, huge windows (Massport certified), enormous ceilings, lofted bedrooms, multi-level units available, open floorplans, and several units have private decks available. The 100 unit building is a former factory built in 1912 and converted in 2005 with both city and park views, in the burgeoning neighborhood of Jeffries Point, East Boston. The developer installed Ikea kitchens with granite countertops, subway tiled baths and bamboo floors in the units and there is common roofdeck and function room that can be reserved for parties. Units have deeded multi-garage parking spaces and there is a mix of underground and outdoor parking. A 40 acre park was recently opened across from the building, in addition to a new lit walkway to the Blue Line, just a few stops to downtown. Porter 156 Lofts also have great highway access - RT 93, RT 1A & The Mass Pike.